FOX Sports Southwest, the local television home of the Dallas Stars, will provide live coverage of the Mike Modano Retirement Ceremony presented by Albertsons on Saturday, March 8 at 6:00 p.m. CT prior to the Stars game against the Minnesota Wild at American Airlines Center. The Stars icon, who helped the team capture the 1999 Stanley Cup championship, will have his No. 9 sweater retired by the franchise, joining Neal Broten (No. 7), Bill Goldsworthy (No. 8), and Bill Masterton (No. 19) as the only players in team history to have their number retired. Stars broadcasters Ralph Strangis and Daryl Reaugh will host the retirement ceremony that will be shown in its entirety on FOX Sports Southwest. Members of the 1999 Stanley Cup championship team and special VIP guests, including Dallas Stars owner Tom Gaglardi, will be on hand to honor Modano. The ceremony will include video tributes to the Stars legend with highlights from his memorable NHL career, Modano’s speech, and the unveiling of Modano’s No. 9 banner among other events Following the ceremony, the STARS LIVE pregame show on FOX Sports Southwest will include reporter Julie Dobbs’ interviews with several of the special guests who attended the KIA Victory Green Carpet Show that kicked off the day’s festivities. STARS LIVE host Ali Lucia and analysts and former Dallas Stars Craig Ludwig and Brent Severyn, who played with Modano, also will share their recollections of the Stars superstar. Modano played 21 seasons in the NHL and is the all-time franchise leader in nearly every category, including games played (1,459), goals (557), assists (802), points (1,359), shorthanded goals (29), game-winning goals (92) and power play tallies (156). 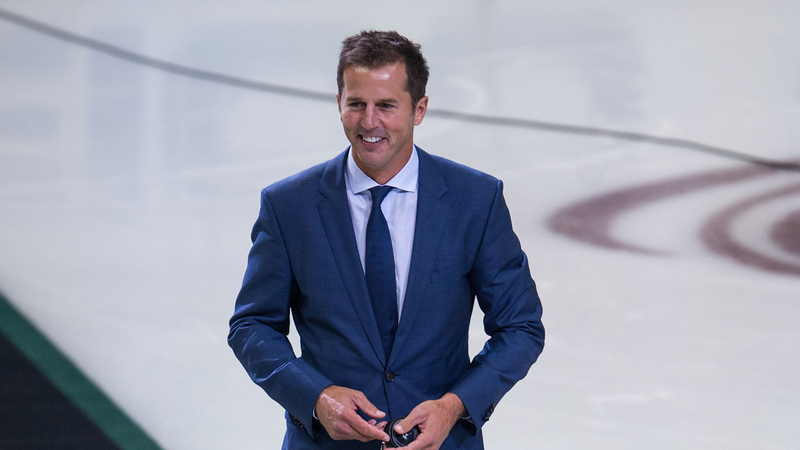 A seven-time NHL All-Star and United States Hockey Hall of Fame inductee, Modano is also the American-born record holder in goals (561) and points (1,374).